Last week, on a whim (and a little bit of a sugar rush), I tweeted George Michael to invite him to YiaYia’s Greek Easter BBQ. I didn’t expect him to tweet back (he didn’t) or turn up (also didn’t) but I really did this just because I thought it would make YiaYia laugh and because she thinks he is “good Greek boy” (we don’t have the heart to tell her about his recent stay in The Big House). Speaking of which, The Big House is probably too good for the 3 teenage toads who broke into YiaYia and Papou’s house this week and burgled them while they slept in their beds. They broke in through the back door, using tools they found in Papou’s garden shed and set about robbing the place. Surprisingly, no-one heard the breaking or the entering. It was only when they started rummaging around in YiaYia’s bedroom, that she woke up with a fright and spotted the three boys. Afraid to make a noise or let them see the whites of her eyes, she lay deadly still while they helped themselves to her jewellery. Fortunately, BB had not yet returned to Cambridge after Easter and hearing the thieves in action, called out to her mum who said there were kleftes (Grenglish for thieves) in the house , not to be confused with Kleftiko (Grenglish for stolen lamb), probably also in the house. The boys fled out of the room and one of them tripped down the stairs. Papou slept through the entire thing. They didn’t get away with everything but did pocket some much treasured jewellery, including YiaYia’s vintage Susan Caplan necklace that we gave her on Zachy’s christening. 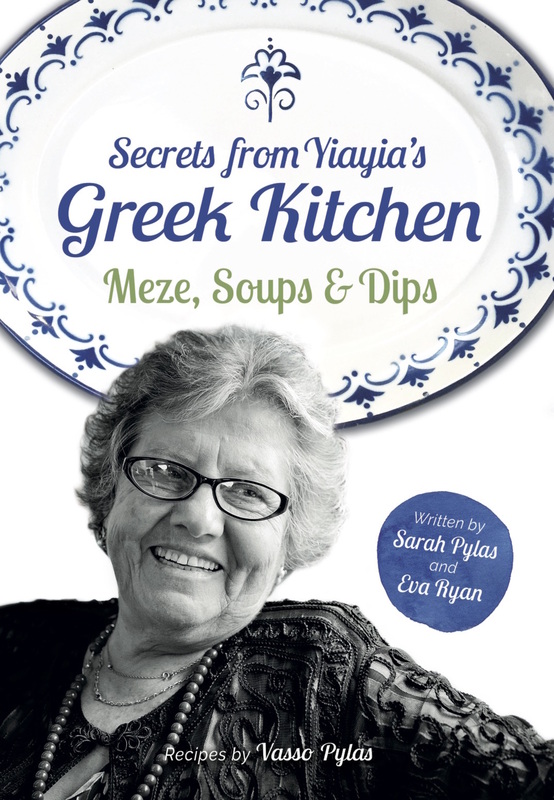 YiaYia won’t let the thieving toe-rags get her down though and it’s business as usual in the kitchen today… sure we can’t tempt you with some kritharaki George…?